Categories: Combo Deals, Mother's Day Gift Set. Tags: Combo Deals, Deals & Offers, Gift, Gifts, Gifts Delivery, Gifts Delivery Dubai, Gifts Delivery UAE, Online Cake Shop, Online Gifts, Online Gifts Shop, Online Shop, Online Shopping. 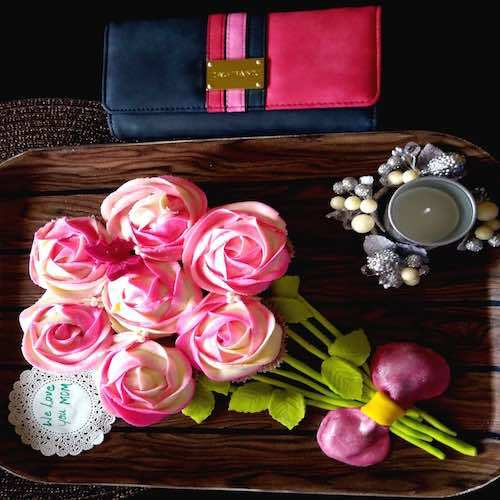 Buy Mothers Day Gift Dubai online and send to your dear ones in Dubai. Flowers, Cakes and Gifts delivery in Dubai. The ancient Greeks and Romans celebrated festivals in honour of the mother goddesses Rhea and Cybele. While the modern precedents celebrate Mother’s Day as a Christian festival known as “Mothering Sunday.